William Ward Watkin. Courtesy of Rice University. Image available on the Internet and included in accordance with Title 17 U.S.C. Section 107. Rice Institute Masterplan by Cram, Goodhue, and Ferguson, circa 1911. Image available on the Internet and included in accordance with Title 17 U.S.C. Section 107. Trinity Episcopal Church designed by William Ward Watkin, circa 1917. Image available on the Internet and included in accordance with Title 17 U.S.C. Section 107. WATKIN, WILLIAM WARD (1886–1952). William Ward Watkin, architect, was born on January 21, 1886, in Boston, Massachusetts, the son of Fred Ward and Mary Mathilda (Hancock) Watkin. He grew up in Danville, Pennsylvania, where he graduated from Danville High School in 1903. Watkin studied architecture with Paul Philippe Cret at the University of Pennsylvania and earned a B.S. degree in 1908. In 1909 he went to work for the Boston architects Cram, Goodhue, and Ferguson, who sent him to Houston in August 1910 to oversee construction of the initial buildings of the Rice Institute (now Rice University), which they had designed. Edgar Odell Lovett, president of the Rice Institute, invited Watkin to remain in Houston and appointed him instructor in architectural engineering when the institute opened in 1912. Watkin was made assistant professor of architecture in 1915 and professor of architecture in 1922, and he was head of the department of architecture until his death. In 1928 Watkin initiated an annual traveling fellowship in architecture, known since 1953 as the William Ward Watkin Travelling Fellowship. Watkin was the first Houston architect to write regularly about architecture. His essays appeared in The Southern Architectural Review (1910), the Rice Institute Pamphlet (1930), and Pencil Points (1931 and 1932). He published two books, The Church of Tomorrow (1936) and Planning and Building the Modern Church (1951). The Museum of Fine Arts, Houston, original 1924 building. Courtesy of Frank J. Schlueter and the Museum of Fine Arts, Houston. Image available on the Internet and included in accordance with Title 17 U.S.C. Section 107. William Ward Watkin and family at the Watkin home, 1942. Courtesy of Rice University. Image available on the Internet and included in accordance with Title 17 U.S.C. Section 107. In addition to his educational duties, Watkin had an architectural practice that was especially active during the 1910s and 1920s. He was associated with his former employer, Cram and Ferguson, on the design of Trinity Church (1919), Autry House (1921), and the Houston Public Library (1926). He laid out two important Houston subdivisions, Southampton Place (1922) and Broadacres (1923). Among his important buildings were the Houston Museum of Fine Arts (1924 and 1926), the YWCA buildings in Beaumont (1923) and Galveston (1924), the campus plan and original buildings of Texas Technological College in Lubbock (1923–31, with Sanguinet, Staats, and Hedrick), the Chemistry Building (1925) and Cohen House (1927) at the Rice Institute, Victoria Junior College, Victoria (1927), and the Princess Louise Hotel, Corpus Christi (1927, altered). A specialist in church architecture, Watkin built a number of chapels and churches between 1926 and 1947. He also designed houses for private clients, including Howard Hughes. 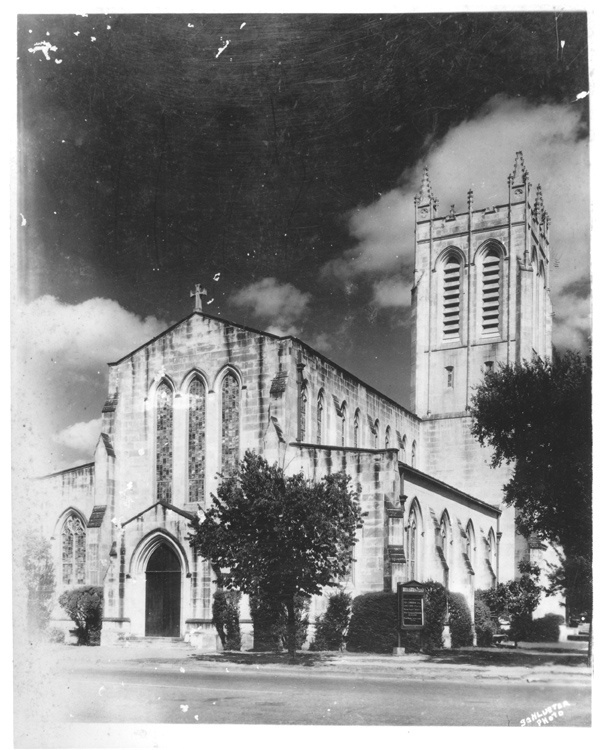 Between 1913 and 1917 Watkin was in partnership with the Austin architect George Endress. His best buildings were designed during the later 1920s when Stayton Nunn was a member of his firm. Watkin was a member of the Houston Philosophical Society, the Philosophical Society of Texas, the Houston Country Club, and the Rice Institute Faculty Club. He joined the American Institute of Architects in 1913 and was elected a fellow in 1949. He was a parishioner of Trinity Church. Watkin was twice married, first to Annie Ray Townsend of San Antonio on June 1, 1914, with whom he had three children, and following her death to Josephine Cockrell of Dallas on October 19, 1933. William Ward Watkin died in Houston on June 24, 1952, and was buried at Forest Park Cemetery. He was later reinterred at Glenwood Cemetery in 2003. His papers are deposited in the Woodson Research Center of the Fondren Library at Rice University. Houston Post, June 25, 1952. Peter Papademetriou, ed., Houston: An Architectural Guide (Houston Chapter, American Institute of Architects, 1972). Who's Who in America (1952–53). Handbook of Texas Online, Stephen Fox, "WATKIN, WILLIAM WARD," accessed April 24, 2019, http://www.tshaonline.org/handbook/online/articles/fwa91. Uploaded on June 15, 2010. Modified on July 5, 2018. Published by the Texas State Historical Association.